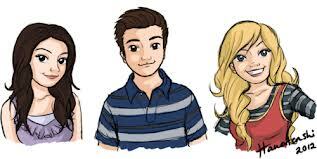 iCarly cartoons. something i drew. Wallpaper and background images in the iCarly club tagged: icarly nickelodeon season 5. This iCarly fan art contains anime, comic book, manga, and cartoon. There might also be portrait, headshot, and closeup.